At MediaFire, our goal is for you to have the ability to access all of your media anytime and anywhere. Whether it be pictures, video, music, or important documentation, you can stay in sync with MediaFire across multiple devices. 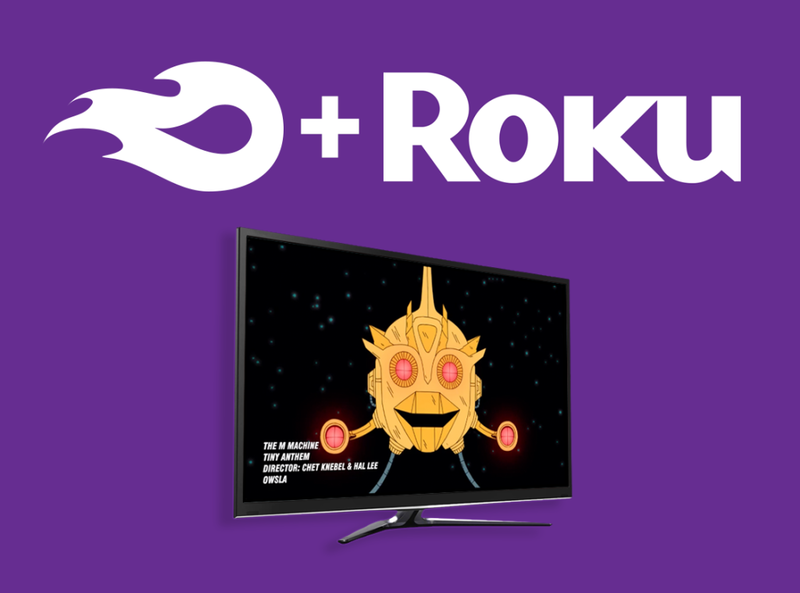 We upped the ante by adding the feature of streaming your videos on your TV via our new Roku channel. Today we’re proud to announce the release of MediaFire for Roku, Beta. We call it “Beta” because it’s still under development and we’d love your feedback on how to make it even better. Question: Are all Video Types Supported on the MediaFire Channel? Not all video types will work on the MediaFire Roku channel. Video must be H.264/MPEG-4 compliant. It also has to be one of the following formats: mp4, mkv, or m4v. If your video is not in one of these formats, try using one of the many online transcoding tools which can convert your video to a different format. Question: Can I only Watch Videos on the MediaFire Channel? What about my music, pictures, & documents? The MediaFire Roku application only supports video play back. Other content, such as pictures, music, & documents, will not appear on the MediaFire channel. You can view all of your content via the MediaFire Cloud on your Desktop or Mobile devices. Click here to get these tools today. Question: Why is my Video Quality not Good? The video that is streamed to your device is unmodified. Unfortunately, if the original source was low quality, then playback will also be low. Question: Why does my Video Keep Buffering? We know buffering is frustrating. If the quality of the source material is high and it exceeds the capacity of your internet service, the playback will buffer. A fix would be to either reduce the size of your video or upgrade to a faster internet connection. This is an issue we will address in the future. MediaFire offers a few account options to get you started. Each product will work on your Web, Desktop, Mobile, and Roku devices. In order to begin using MediaFire on your Roku, any account will work. You can access the account registration screen at www.mediafire.com. Once at the MediaFire page, click on Sign Up and you can begin the registration process via your email, Facebook, or Twitter account. After you finish the account creation process, you are ready to begin using MediaFire on your Roku device. Ready to watch your MediaFire videos on your TV but don’t have a Roku device. No worries! Roku can be purchased from most major retailers. You can also visit the Roku website to have a device shipped straight to your home or business. You have a MediaFire account. You have a Roku. What’s left? Getting the MediaFire channel on your Roku device. To add the MediaFire Channel there are three options. When you are on Roku’s website you, simply search for the MediaFire Channel. Type the search term MediaFire in the search box and hit Enter on your keyboard to search for the MediaFire Channel. When you see the MediaFire channel, click Add Channel. An email/password box will appear. Enter the credentials associated with your Roku account and click Continue. A message will pop up that states MediaFire has been added to your Roku player. Also the Add channel button will change to say Installed. The MediaFire Channel is now on your linked Roku device. Helpful Tip: If the MediaFire Channel does not appear on your Roku device, follow the instructions for adding a channel via your Roku device’s search option. Roku provides a unique code called a Channel Access Code. With this code there is no need to search for MediaFire. Just go to https://my.roku.com/account/add and add your Channel Access Code and select Add Channel. Your MediaFire will be added to your Roku device. The MediaFire Channel Access Code is DKDFKP. From your Roku Device’s home screen, select Search. Enter the search term MediaFire. The MediaFire channel will appear in the search results to the right. Select the MediaFire Channel and then select Add channel. When prompted, enter your pre-selected Roku pin. After loading the MediaFire channel on your Roku device, it’s now time to log into your account. Select the MediaFire Channel from your Roku device. A screen will remind you that you need a MediaFire account. If you haven’t created a MediaFire account, just return to the instructions on registering with MediaFire. If you have an account, select OK to continue. You will need to log in with your MediaFire credentials. Enter the email address associated with MediaFire then select Next (if you signed up for MediaFire with a Facebook login, you can set up or change your email address and password on your MediaFire Account page). On the following screen, enter your password and then select Login. Your videos will appear, ready for their debut on the big screen. Once you’ve logged into your MediaFire account via the Roku channel, if you don’t see the videos you want to access, you can search via keywords. Simply select Search for a video. Enter your search term. Select Search when done. Your search results will appear. After selecting your video a new box will appear with your video’s details. Select Play to begin viewing. Unlink/Switch the MediaFire Account Associated with the MediaFire Channel Need to switch to one of your other MediaFire accounts or let your friends log in? No problem. Logging out is simple. From your home page, you can press the asterisk on your Roku remote to enter the Options menu. From the Options menu select Logout. Your MediaFire account will immediately unlink. That’s it! We hope you enjoy MediaFire for Roku, Beta and as always, we’d love to hear your feedback so let us know what you think of it!